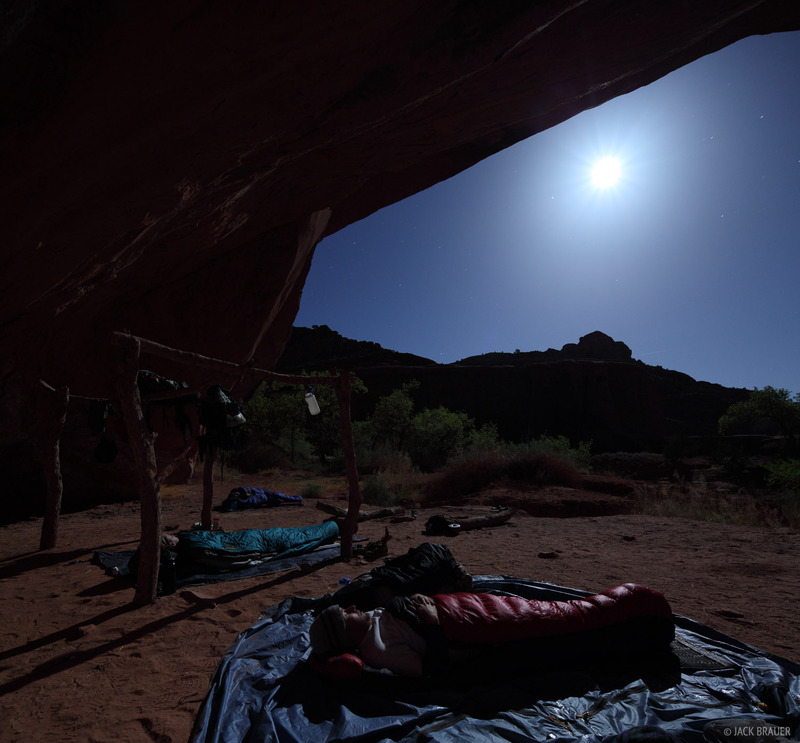 A great campsite in a tributary of the Escalante River, under a huge sandstone alcove. This is where over the millenia the drainage has carved a huge undercut into the cliff wall, leaving a flat sandy bench with a massive arching sandstone ceiling! This was our basecamp for three nights as we explored the nearby canyons.